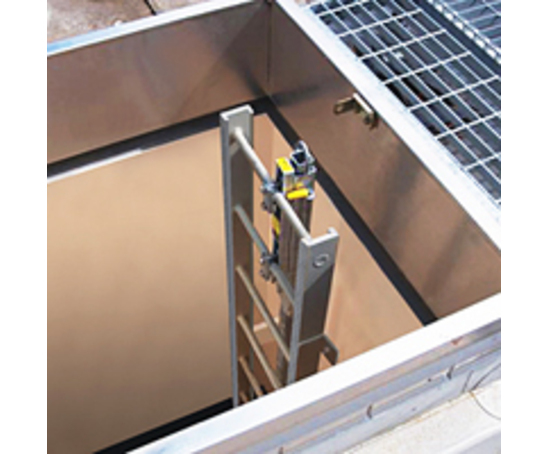 Bilco Ladder-Up Safety Post- Provide safe transition from fixed ladder through roof hatch applications. Available in powder coated, aluminum, stainless, and galvanized steel. Designed with a telescoping tubular section that locks automatically when fully extended. Upward and downward movement shall be controlled by a stainless steel spring balancing mechanism. 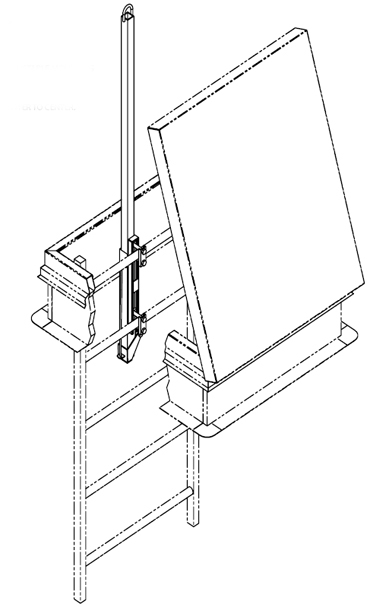 Unit shall be completely assembled with fasteners for securing to the ladder rungs in accordance with the manufacturer's instructions. Manufactured of 1-1/2 inch square by 10-guage high strength (50,000-p.s.i. 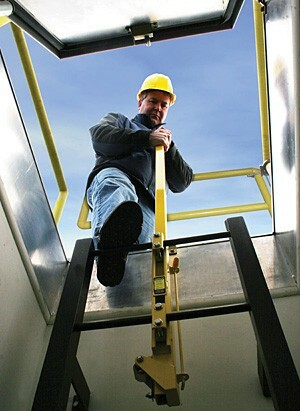 yield) steel tubing and is designed to accept a minimum 200-pound loading (this is an OSHA standard for guard rails). The ladder to which this device is fastened must be structurally sound. 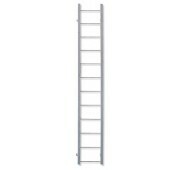 Bilco's tests were performed with the LadderUP mounted on a 16 inch wide steel ladder with solid 3/4 inch round rungs and on a 16 inch wide aluminum ladder with hollow aluminum rungs into which was inserted a 1 inch round solid bar to add strength and to prevent crushing of the rungs when attaching the LadderUP. 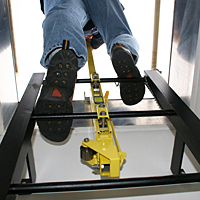 Loading in excess of 250 pounds was applied horizontally at the top extended LadderUp without permanent deflection of the ladder rungs or detrimental to the ladder. If installation is to be in a corrosive atmosphere, specify Model LU-2, LU-3 or LU-4 as conditions warrant.